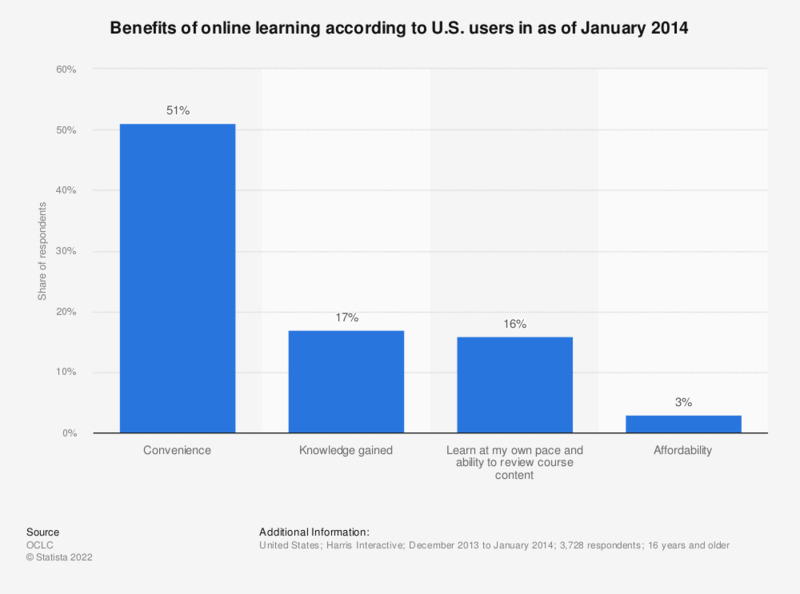 This statistic presents the importance of the aspects of the online learning among according to U.S. users in 2014. In the survey period, 51 percent of respondents stated that convenience is the most beneficial aspect of their online learning experience. According to the source, coded responses from an open-ended question, "Thinking about your overall online learning experiences, what would you say has been the most beneficial aspect of those experiences?" was assessed.